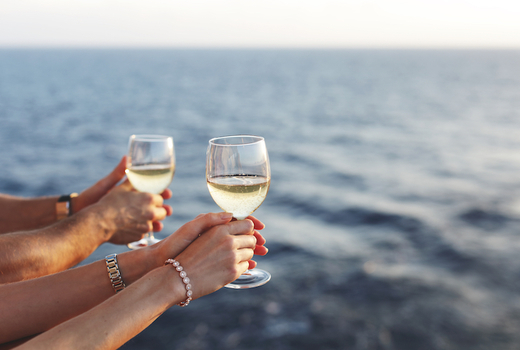 If coasting along calm waters, taking in some warm sunshine, and drinking an exceptional selection of curated wines sounds like your version of the perfect weekend, look no further than Manhattan By Sail's Wine Tasting Sail. 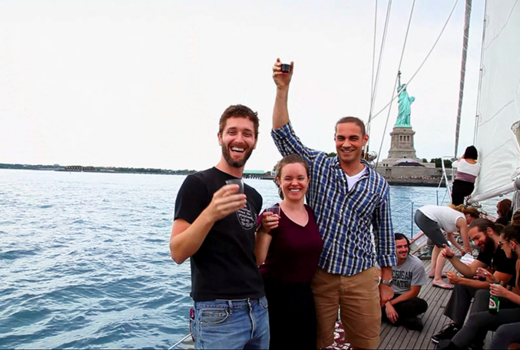 Grab your $69 pulse (a $98 value) to experience a 2 Hour Wine Tasting Sailing Trip around the New York Harbor aboard the majestic Shearwater sailboat led by the wine aficionados at Tradizione Imports. 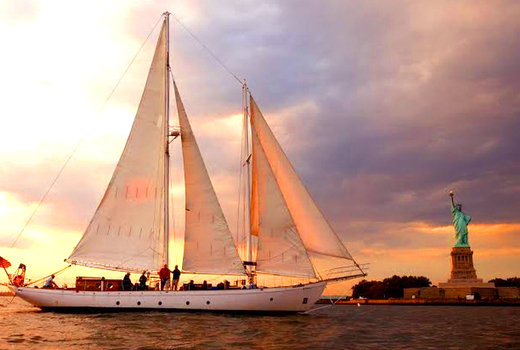 Be whisked away to the roaring '20s aboard an elegant 82-foot-long vintage replica schooner reminiscent of a bygone era, gliding along the harbor with ease and grace. Take in stunning views of Lady Liberty, the Manhattan Skyline, and breeze by the iconic bridges, savoring an array of exceptionally aromatic, bold, multidimensional wines paired with artisanal cheeses and charcuterie. Ahoy, matey! Without breaking a sweat, set sail with a glass of fine wine in hand, staring in awe at the picturesque, jaw-dropping scenes that make New York City one of the most amazing cities in the world. 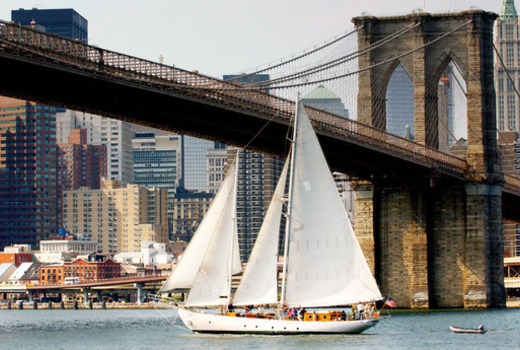 The fun and welcoming captains and crews at Manhattan By Sail invite you to spend a whimsical afternoon leisurely basking in the spring and summertime sun while you imbibe on fine wine and delicious bites. This 2-Hour Wine Tasting Sail and soirée all occurs on an astonishing Gatsby-era inspired vessel, an impeccable replica of the lumber-hauling tall ships that filled New York harbor over 100 years ago. The brilliant connoisseurs from Tradizione Imports will guide you through the complex and beautiful terroirs, textures, and flavor notes that await your palate on this unique excursion, pairing each sip with an assortment of cheeses & charcuterie. From full-bodied red varietals and light and crisp white expressions to biodynamic and organic blends, get lost in finding your new favorite. You may view the full Wine Tasting Sail schedule here. 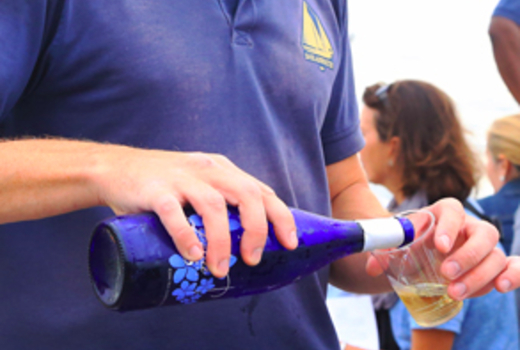 Admission to A Wine Tasting Sail Aboard The Shearwater from 4:00pm until 6:00pm on a Saturday or Sunday of your choice. Selection of Curated Wines to Taste During the sail, including many biodynamic and organic varietals. Charcuterie & Cheese pairings to savor. Wine Education by Tradizione Imports. "Even though I've been living in NYC for 12 years, I had never been on a sunset cruise until last week and I have to say, it made me fall in love with New York all over again. The Shearwater is a gorgeous yacht, beautifully maintained and truly the best way to enjoy the harbor." "This is awesome for anyone who likes boats, sailing, or booze! The sun was setting, water was calm, and the weather was beautiful. I've gone for my birthday two years running!" "I cannot begin to explain how wonderful our experience was! The staff was friendly, the views were breathtaking, and the wine was delicious!" Valid for any Wine Tasting Sail through expiration.